The Hexacon Model II control system quickly closes up to six Eclipse actuators on toxic gas cylinder and ton container valves by remote contact switches. The Model II microprocessor system applies 30 foot-pounds of torque for test closures and 50 foot-pounds of torque for emergency closures of cylinder valves. All Fire Codes recognize and approve the “automatic-closing fail-safe shutoff valve” system in lieu of a scrubber. With a SCADA option the system provides actuator closure status and error codes to quickly analyze problems and to take corrective action. 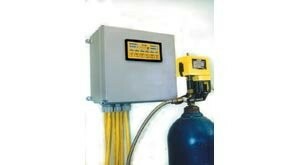 Use the Hexacon shutoff system to secure facilities 24/7.